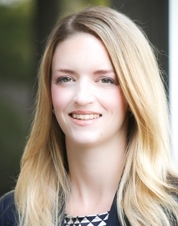 Paisley joined the firm in April 2017 as an associate attorney. She began her legal career in Georgia where she worked primarily as a sole practitioner representing clients in social security disability, personal injury, domestic relations and criminal matters, as well as representing children in foster care cases. She gained considerable trial experience as lead attorney in both jury trials and non-jury, bench trials. Paisley was admitted to the Alabama Bar in 2014. Since moving to Alabama, she has gained valuable experience as a civil defense attorney, representing clients in the defense of workers’ compensation claims and general civil litigation. She is a native of LaGrange, Georgia. In her spare time, Paisley enjoys spending time with her husband Dwayne, and their three daughters, Sophie, Emmy, and Piper. They are members of Hunter Street Baptist Church.